Napoleon Bonaparte once said, "A picture is worth a thousand words." If this is true, Obama's picture is worth ten thousand words. 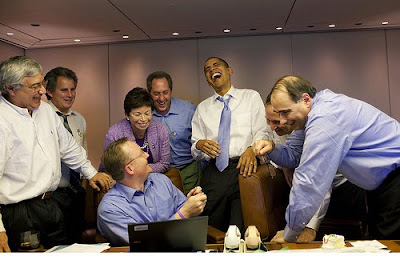 This is a perfectly timed photograph of the president and his team, laughing hysterically together as they surround the giggling White House press secretary, Robert Gibbs. This official White House photograph can be found here. It was taken on November 14, 2009, and has not been modified in any way. From the picture, one can so easily imagine Team Obama had just finished plotting America's takeover. It strikes a similar pose to Andy Thomas's Big Dawgs Playin' Poker, painted to inspire false hope during Obama's 2008 presidential campaign. In the Big Dawgs Playin' Poker painting, it includes two leftist radicals who once controlled the White House before Obama: Woodrow Wilson and Franklin Delano Roosevelt. Unfortunately for America, Barack Obama's socialist success trumps both of these president's. President Obama has successfully moved America further left and beyond the radical dreams of both Roosevelt and Wilson. Clockwise from far left: presidents Carter, Kennedy, Clinton, Wilson, Johnson, Truman, Jackson, Franklin Roosevelt. 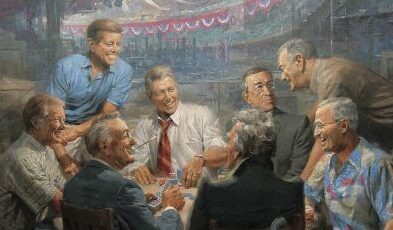 Missing from painting: Barack Obama, standing tall to the right of Kennedy, laughing hysterically while he watches his predecessors play political games with the American people. To think, all it took to fundamentally change the United States was a strategy inspired by deceit. After all, Obama's predecessors always failed to bring socialism to America. Due to these failures, Democrats launched a different kind of campaign for Barack Obama. Democrats first executed a methodical, flawless plan to illuminate Barack Obama as America's Superhero. 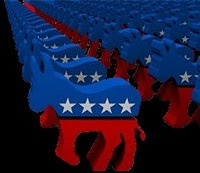 The Mainstream media followed in lockstep formation behind the Democrats, censoring the truth about Obama's direct associations with the people and organizations which caused the financial collapse. Obama campaigned on Conservative principles, misguidedly tricking millions of American's into voting for him based on bold lies of lowering taxes, and spurring economic growth and employment. We all know how that turned out. Laughing hysterically, Obama knows by the time the people realize he is a false hero, it will be too late to take back our liberty stolen from us by the federal government. The nation's heritage of freedom, as they say, is history. Have the Democrats gone wild? Because there are no rules for radicals, the Democrats are indeed running wild in America. Government spending is out of control. And in just a moment, I will show you THE most important chart of the century. The chart is similar to the M1 Multiplier, but it may be easier to understand just by looking at it. If you're anything like me, you've probably voiced your political opinion against Obama's health care bill. Similarly, it's also likely you've been demonized by the Democrats, who will be the first to tell you that thinking Obama's agenda is anything but responsible is just an "extremist conspiracy theory." We've been demonized, attacked, and ignored by our government. We are the conservatives, a proud voice of a distant and once great nation. The last time I checked, bold statements such as "Give me liberty, not debt!" is as far from extremist rhetoric that I can think of. Since when was asking for more freedom and less debt considered an extreme political opinion? What is so conspiracy-like about wanting smaller government and less taxes? Is there proof Obama's spending is not working? I mentioned above how I'd provide a visual of the most important chart of the century. Before I show you the damage caused by Democrats gone wild, you must understand that America's debt problem has been increased to a scale of unfathomable proportions. 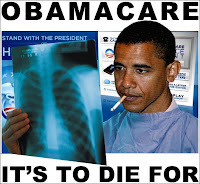 ObamaCare looks to be the final nail in the coffin for America, and it will destructively cripple the economy. Wait, that can't be right. 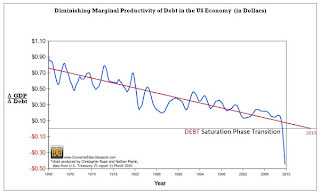 From the chart, it looks like immediately after the Democrats began running wild, debt in the U.S. economy caused productivity to sink like a rock in water. That is, debt skyrocket in comparison to GDP. Nate over at Swarm USA commented on the graphic above and he said, "This is a very simple chart. It takes the change in GDP and divides it by the change in Debt. 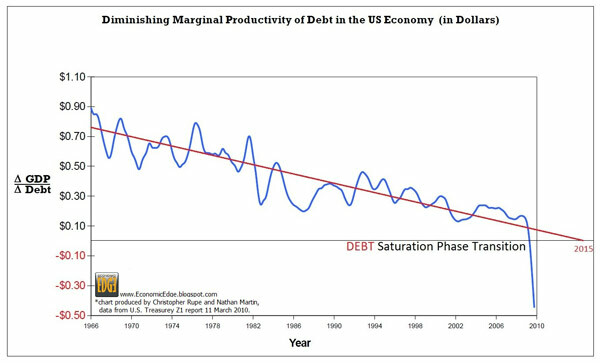 What it shows is how much productivity is gained by infusing $1 of debt into our debt backed money system." So there you have it. Proof the implication of Obama's policies is damaging our economy. Indeed, it's the image of Democrats gone wild! Democrats in the US House of Representatives cast their health care vote on the Senate's bill, approving a government takeover to socialize America's health care system. Under ObamaCare, a federal law allows the government to takeover America's private health care system. Federal law now requires the government to run a socialist health care system, in a move that will cripple approximately 18% of the United States economy. Barack Obama and the US government owns two of Detroit’s big three automakers, the world’s largest insurer AIG, the largest mortgage operations in Fannie Mae and Freddie Mac, as well as a third of Citigroup. Now with the passage of ObamaCare, Barack Obama's fundamental change of the United States is complete. Democrats destroyed the finest health care system in the world, by three votes, 219 to 212. The socialist revolution wins, it was that easy. The Democrats managed to bring socialism to the United States, and Obama fulfilled his most extreme promise to "fundamentally change America." One certainty about the health care bill are the consequences which will be felt by everyone, and the tax increases that will affect all American's. 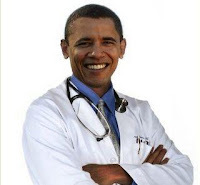 Under ObamaCare, recently passed on Sunday, March 21, a date which Drudge Report declared 'will live in infirmary,' Congress successfully gave rise to socialism in America. Ronald Reagan's fiscally conservative voice is lost hope American's were once able to have, now becoming meaningless rhetoric speaking out against big government. The Tea Partiers useless defiance against the 'inevitable' universal health care system was a message not listened to by congressional democrats in office. ObamaCare will cripple America and our economy. The problem with ObamaCare is that we're not united on this health care bill at all, and a mandate in it is unconstitutional. The problem is America loses; Socialism wins. It's a dark day in America and for our economy, which will be crippled for years to come. At least we can be confident in one thing: we know the root cause. Over the next ten years, 'Atlas' along with all incentive-driven and hard working American's will shrug as ObamaCare increases everyone's taxes and slowly eats away at an already deteriorating US economy. It will, over time, slowly destroy what was once the greatest health care system on earth. Is it just me, or do you also see a double-dip recession coming? This could be the big one. The 'great recession' could now last at least a decade, thanks to the socialist revolution and Barack Obama's destructive Social Contract. 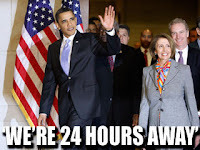 The countdown to ObamaCare begins. We're 24 hours away from fundamentally changing America, and the government is about to takeover the current health care system and reform it to match Canada and Europe's socialist system. 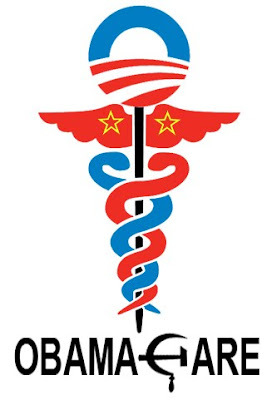 ObamaCare is socialism: an equally shared, redistributive system of government-quality health care. The great socialist revolution is almost complete. Barack Obama's leftist organizations, ACORN and the SEIU, will always, forever have the last laugh after fundamentally transforming America's Constitution-based federal republic. The unions, as Obama's left and right workhorses, will soon successfully transform America into a socialist union, with a strong democratic tradition at home and abroad. The unions will win, scoring a huge victory for socialism, at the sacrafice of American taxpayers and state liberties. Will American's lose freedom that we must soon, tomorrow, say is liberty we once had? The scariest part is that there's nothing American's can do to stop the revolution from successfully transforming America. We must sit back, watch, and wait for the takeover to begin. The Pilgrims were facing the same grim scenario when they entered into the New World's first Social Contract with previous merchant-sponsors in London. Under socialism, all the Pilgrims had left was their faith. We will soon learn what William Bradford did long before Karl Marx was born, after the Pilgrims had discovered and experimented with what today is described as socialism. It will be a tragedy our Founding Fathers hoped to quell from ever happening in the United States. Atlas may soon be Shrugging. Will it be too late to 'Change It Back' once ObamaCare is set in motion as a federal law? This is a follow up to my previous post discussing Kudlow and Cramer's economic outlook if ObamaCare passes this Sunday. Last year, I wrote a tribute to Jim Cramer celebrating Mad Money's fourth anniversary; this year, Cramer talks about the changing landscape of the stock market. So it makes sense that I pay 'tribute' to Mad Money's fifth anniversary, too! First, Mad Money viewers got to witness one of those extraordinarily rare moments when Jim Cramer encounters a stock he hasn't heard of before. It was during Mad Money's 'M5M' Lighting Round. Cramer got stumped! I say this because he rarely gets caught off-guard over a stock. Check it out. At the two minute mark from the linked video (above), Bill from Massachusetts eagerly asks Cramer, "My stock is Nstar (NST). Gimme some some sugar on that stock!" Cramer's response? Stumped! The following day, on March 17 Cramer's Mad Money did a follow up on the performance of Nstar. Now that's what I call accountability! Second and more importantly, Cramer discusses the changing landscape of the stock market. M5M introduced a new acronym for some of the key drivers of the stock market, "P.A.C.E.D." P stands for President: President Obama is impacting the stock market. Cramer said, "The next 1,000 points hinges on whether or not Obama's health care bill passes." As I mentioned in my previous blog post, Kudlow and Cramer agreed on the problems that will occur in the market if ObamaCare passes — the Dow could go down 1,000 points. If it does pass, expect taxes to go up too; in turn, squeezing more life out of the economy. A is for Apple (AAPL): The tech industry is taking off, or at least trying to if not for "P." Apple is the leader of the mobile Internet tsunami. C is for China: Cramer says the U.S. has been replaced by China as the world's industrial powerhouse. Cramer said we are currently in the wake of a 'Great Recession' and must now follow Brazil, India and China as their economy grows faster than ours. I say, a Great Recession or Depression is what happens when "P" sells the American taxpayers' souls to China so he can fill the pockets of ACORN and the SEIU's campaign funds for the upcoming elections. Err.. I meant Obama passed a $1 trillion dollar "stimulus" package which increased taxes for all Americans. "C" purchased your soul the moment Obama lied and the economy died. E is for Energy: Cramer says Natural gas supply in the U.S. could help fuel a global clean fuel initiative. I say let's step back from any "global green laws," because ClimateGate sort of proved to taxpayers that world politics should not mix with science. This includes Cap and Trade, I say scrap it and allow science to rid itself of its corruption before sending "global unions" any more U.S. taxpayer dollars. D is for Dividends: 'buy and hold' strategies need to be revised to remain defensive during turbulent times in the stock market. Now for the best part! Jim Cramer's outrage of the day (I should say week) happens to be shared by a majority of Americans. Congress is literally the stock market's worst enemy right now; moreover, ObamaCare is on point and ready to destroy the United States health care system. During Cramer's Stop Trading! segment on CNBC, he spoke of the Democrats intent to fund health-care reform through higher taxes. This of course will also hurt the stock market and ultimately the economy. On Friday's Mad Money episode, Cramer remained defensive and offered viewers a Game Plan for surviving the market if the health care bill passes on Sunday. We all know higher taxes plus ObamaCare equals a stock market sell-off. But who am I to speak out against ObamaCare? After all, as Dodd says, "You will learn to love it." He said it is only a matter of time before they "warm" to the new health care legislation after it passes. Previously I wrote about the dangers of ObamaCare, recently posting a PJTV documentary video which covers the truth about socialized health care. On Thursday, my favorite two stock market guru's, Jim Cramer and Larry Kudlow, got together to discuss how to protect your stock profits from health care if it passes this Sunday. Mad Money host Jim Cramer expressed his concern about ObamaCare to Kudlow, upon which they both agreed the health care bill is a disaster waiting to disrupt the economy more than the prospect of it already has. Cramer said during Mad Money, investors better prepare their portfolios. He expects a sell-off, “maybe even a big one,” if the health care bill passes. Cramer told Kudlow that the affect this legislation could have on the economy will be devastating, as American businesses weigh the resultant costs against hiring new employees; thus, increasing the unemployment rate and slowing the economy even more. We are reminded that the passage of Obama's health care bill is only part of his overall agenda, which includes raising taxes on capital gains and dividends. Cramer said ObamaCare would force another sell-off later in the year as people lock in their gains before any new tax law could take effect. Accuracy in Media reported earlier that Cramer expressed concern that the health care bill ‘could break the back of treasury’. As for Kudlow and Cramer's perspective on where to protect your stock profits it the health care bill passes? They both agreed that Gold is the safest investment as a counter-play to the falling U.S. Dollar. Cramer insisted he will be increasing his Gold portfolio if indeed health care legislation is "deemed" to have passed the House. Likewise, Kudlow also said he hopes ObamaCare isn't passed and that Gold will not be the best investment, but agreed with Cramer that it's looking more and more like the safest place to protect your profits. If ObamaCare fails, the economy and the stock market, and America's current health care system wins big time. Looking for a cat named Joe? Did you just look up a cat named Joe? I recently watched the movie Death Proof, and in it there's a song with a cat named Joe. Death Proof is a movie written and directed by Quentin Tarantino. The movie rocks! Tarantino is for sure one of my all-time favorite film makers. There's a scene in Death Proof that correlates with the song Down in Mexico, which is amazing, but the song itself is truly great! There's a line in it saying if "you wanna get straight" and you're south of the border, look up a cat named Joe. I did a quick Internet search for a cat named Joe (from the song), but my query for this supposed Joe cat showed less desirable results. So I'm writing this offbeat blog entry hoping to help Yahoo! and Google searchers find what they're looking for: a cat named Joe. After my Internet search, apparently this cat is named Joe. However, that's not the right Joe we're looking for. Is this cat wearing a red bandana? No. The right Joe also wears a purple sash, and a black moustache. Zero out of three; this cat even has a white moustache, so it's certainly not the correct Joe. If that cat is not the correct Joe, then who is? Maybe someone else can help others find the real cat named Joe, who fits all of the above description. In either case, what I have found is a cool YouTube video that plays just the song Down in Mexico, but not the actual scene itself from the movie Death Proof. For reference, here's the lyrics to The Coasters: Down in Mexico. I said "Tell me dad, when does the fun begin?" He just winked his eye and said "Man, be cool." And then she did a dance I never saw before. Just look up a cat named Joe. Under ObamaCare the American people can expect many changes to our current health care system. We can look no further than to Canada for what to expect if socialized health care takes over America's private industry and essentially our liberty, too. ObamaCare, "Yay" or "Nay?" That is the question. In a mini documentary revealing the truth about Canada's socialized health care system, PJTV invites us to watch and see for ourselves if it really is time we get on board Obama's socialist agenda. Should Congress pass this health care bill through reconciliation in a takeover plan that will create ObamaCare? How will a socialist health care system affect the speed and quality of care American's currently receive? Would we really have to wait in long lines, similar to how we wait at the DMV, to see a doctor under ObamaCare? Is America's current private health care system simply under appreciated as the greatest on earth? Take a number, and then find out for yourself this PJTV mini documentary. 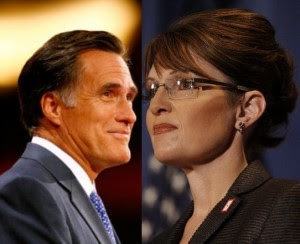 On the issues of health care, it makes sense to compare the ideas of Sarah Palin and Mitt Romney. After all, even though Romney is quite the business-savvy man, as the former Republican governor of Massachusetts he created the nation's first State-run universal health care program. In one corner, we have Sarah Palin's view on health care; in the other corner, we have Mitt Romney's view on health care. In Romney's defense, he has said this health care reform "did not include a single tax increase." However, Mitt Romney also made the statement, "what we have is a plan which is paid for half by the state and half by the federal government." Otherwise, his plan sure sounds a lot like ObamaCare. Personally, I'm not so sure I like the word entitlement when it comes to government handouts because such a freebie always comes with more restrictions on personal liberty and increases in government debt. But I do like Romney's view that the individual states are the ones who should be solving their own health care issues. The federal government has no place trying to reform America's entire health care system, because it is a state issue. Nationalizing health care is not the solution, which is something Romney agrees on. The first time Sarah Palin publicly spoke about Obama's health care agenda was on the healthcare reform death panels. The reason she said 'death panels' was due to the end-of-life provision in Barack Obama's version of the healthcare reform bill, which was under consideration in the House, and would pay physicians to "advise patients about end-of-life care and rate physician quality of care based on the creation of and adherence to orders for end-of-life care." After first accusing her of lying, Obama finally retracted his statement and admitted, "It turns out that I guess this arose out of a provision in one of the House bills..." Good thing Sarah Palin caught it then, right Obama? In my political opinion, Sarah Palin leads the debate with a common sense approach to the health care issue. Common sense tells us that the government's attempts to solve large problems more often create new ones. Common sense also tells us that a top-down, one-size-fits-all plan will not improve the workings of a nationwide health-care system that accounts for one-sixth of our economy. And common sense tells us to be skeptical when President Obama promises that the Democrats' proposals "will provide more stability and security to every American." Sarah Palin also notes on her Facebook page how human rights and personal liberty must always remain at the center of any health care discussion. Health care by definition involves life and death decisions. Human rights and human dignity must be at the center of any health care discussion. [...] Nationalizing our health care system is a point of no return for government interference in the lives of its citizens. If we go down this path, there will be no turning back. Ronald Reagan once wrote, 'Government programs, once launched, never disappear. Actually, a government bureau is the nearest thing to eternal life we’ll ever see on this earth.' Let’s stop and think and make our voices heard before it’s too late.